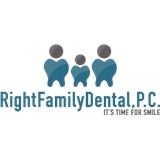 Right Family Dental (Grand Concourse) (Bronx) - Book Appointment Online! Gentle care from Knowledgeable & Experienced Dentists . First visit there felt very comfortable and diagnostic was very helpful and understanding.